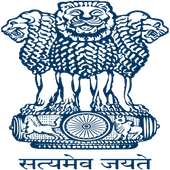 Online Application Details for National Skill Development Agency NSDA Recruitment of 1 Director General and 1 Deputy Director General is given below. Application form and duly attested documents are to be sent to Assistant Administration officer, National Skill Development Agency, Ministry of Skill Development and Entrepreneurship, Government of India, Kaushal Bhawan, B-2, Pusa Road, Metro Pillar No. 95, New Delhi-110005. In envelope super scribed with 'Application for the Post of Post Name'.